If you’re planning on going camping anytime soon, you should first make sure you’re packing the right gear. It is common when going camping to consider not only the matter of food and camping supplies but also the matter of shelter and personal safety. While camping tents are still the go-to solution in matters of outdoor camping, you could very well opt for a sleeping bag instead. When it comes to couples, you could also go for a double sleeping bag, which like the name suggests, is designed to accommodate two people as comfortably as possible. After taking into consideration everything the market has in store, we put together a list of the ten best double sleeping bags money can buy for you to look at. The first thing you notice about this sleeping bag is its hollow filler made of high-quality cotton. Along with it, this sleeping bag also features a liner made from skin-friendly flannel that makes it comfortable to temperatures of up to 30 degrees Celsius. It is also quite roomy by most standards, which is partly owed to the fact that it unzips into two individual sleeping bags if needed. This waterproof sleeping bag comes with two comfortable pillows of the highest quality. Speaking of quality, this particular sleeping bag enjoys a fully waterproof 210T polyester shell with T/C lining and a comfortable cotton inside. Thanks to its unique four double zipper pullers design, this bag is a log more practical than most as it allows you to get out of the sleeping bag either on the side or the bottom. If you’re looking for convenience and comfort in the same package, then you could do a whole lot worse than OtdAir’s Double Sleeping Bag. This sleeping bag is designed to be as soft and as warm as possible without sacrificing any of its practicality. Due to its ingenious construction, this sleeping bag can either be used as a one-person bag or as a couple’s bag depending on your particular needs. This giant sleeping bag features no less than 7 lbs of super soft filling that makes it comfortable up to a 35 degrees C temperature. It also enjoys a durable poly outer that makes it 100% machine washable. At the same time, this sleeping bag benefits from a soft liner with a micro peached poly head section. Interestingly enough, you can use this particular sleeping bag both as a single or double sized bag without any major tweaks to its form. Due to its 100% cotton flannel liner, this sleeping bag feels extremely comfortable on the skin in any temperature. It is also designed in a way that allows the zipper and shoulder baffels to block out the cold, a zipper that unzips on each side and the bottom for easy access and better airflow. We should also point out that this sleeping bag benefits from a taffeta shell and brushed cotton flannel liner, which may explain its seemingly steep price tag. Equipped with two small pillows and an ergonomic carrying bag, this interesting sleeping bag will surely meet the requirements of any campers who just want rest in a comfortable fashion. We say this because this sleeping bag isn’t exactly high-end as far as its materials go, but it certainly makes up through its general construction. Also worth mentioning is that it costs almost half what other sleeping bags of a similar build quality cost. What makes this particular sleeping bag stand out is its cozy flannel lining and heavy-duty MAX double zippers. These features make this bag one of the warmest, most comfortable bags out there, while still being durable enough to last. Enjoying a 100% polyester construction, this sleeping bag is also lightweight and easy to store, a construction that also involves a microfiber insulation, oversized draft tubes, and chest baffles. This high-quality sleeping bag comes with two small pillows and a carrying bag for added mobility. It also benefits from a water resistant 210T polyester shell with T/C lining and a cotton filling that make it soft, warm, and extremely comfortable. 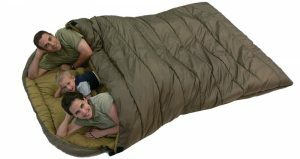 At the same time, this sleeping bag comes part of a 4-piece set that makes it rather easy to store. 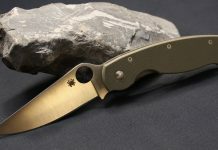 Not only that but it is also surprisingly lightweight despite its large size, which is always a big plus. If size is what you’re after, then you simply cannot go wrong with Teton Sports’ Mammoth Double Sleeping Bag. Like the name suggests, this is a fairly large double sleeping bag with a taffeta shell and flannel liner that give it an added level of durability. Given its unique construction, this sleeping bag will eliminate cold spots and drafts almost entirely, a design that recommends it for anyone who wishes to sleep outside when it’s cold. This is without a doubt the best sleeping bag you can get in this price range and what that can be considered among the very best ever made. This extremely warm and comfortable sleeping bag benefits from a tough and durable outer shell along with a soft, silky inner lining which also helps you get a good night’s sleep if the weather outside takes a turn for the worse. A pretty large sleeping bag by design, you can definitely do a whole lot worse than this if you’re on a budget, which is where this sleeping bag stands out. Last but not least, this sleeping bag is surprisingly lightweight despite its size, which is definitely something to look for when buying one. Regardless of how big they are, sleeping bags fall into three major categories: summer, winter, and three-season sleeping bags. Depending on their construction, sleeping bags can help you sleep on the ground outside while still enjoying a fair level of comfiness. Not only that but most sleeping bags are also highly portable, or at least the popular ones. Summer sleeping bags – Suitable for temperatures of about 30°F or higher, these sleeping bags are usually lightweight and easy to store. They also tend to have full-, length zippers that allow users to zip the bags almost completely open for better ventilation. For the most part, these bags are simplistic and do not involve too many accessories. In fact, they don’t even feature a hood or a draft collar. 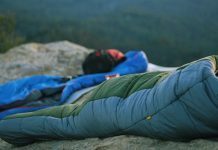 Three-season sleeping bags – These sleeping bags are ideal for temperatures of 20°F or more and they usually involve a well-balanced construction. In principle, these sleeping bags will provide a decent amount of comfort and reliability in any climate, with a reasonable standard of impermeability. It is common for these type of bags to have cinch-able hoods, draft collars, and zipper draft tubes to combat colder temperatures. Winter sleeping bags – With these sleeping bags, you can expect to be comfortable in temperatures of 20°F and below. 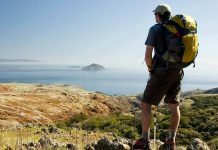 For this purpose, these bags usually involve cinch-able hoods, draft collars, and zipper draft tubes along a multitude of other equally useful features. Along with these features, winter sleeping bags also boast a high standard of insulation which makes them quite bulky and difficult to store. Insulation is paramount for any sleeping bag, be it to provide a decent airflow during hot summer nights or warmth when the weather gets reasonably cold. Some people are under the impression that sleeping bags are more or less universal, which isn’t necessarily the case. Although low-end models are indeed built to the same standards, high-end models are definitely structured to meet specific standards of insulation and comfort. Down insulation – We should point out that down insulation is by far the lightest, most efficient type of insulation a sleeping bag can have. Not only that but it is also the most compressible as it retains its loft much longer than synthetic insulation fixtures. Another thing to point out is that down insulation tends to increase the price of a sleeping bag, mainly because of the filling it employs for the job. Synthetic insulation – While there are many different types of synthetic insulation, most of the sleeping bags that use it employ a fluffy polyester material for the job. Due to this ingenious design, these sleeping bags are waterproof almost entirely, which recommends them to anyone who’s looking to camp in a humid or damp environment. Although somewhat bulkier than down-insulated sleeping bags, they are usually much more affordable. Mummy – The reason why mummy sleeping bags have been so popular over the years is because of the thermal efficiency they offer. This is because a sleeping bag’s prime purpose is to provide comfort for the user, which is what makes mummy sleeping bags stand out. Despite their shape, mummy bags also leave a lot of room to spare in the shoulder and torso area so that restless sleepers can move around in their sleep unrestricted. Rectangular – Pretty self-explanatory really, rectangular sleeping bags may not be as thermally efficient as mummy bags, but they’re definitely more comfortable overall. In fact, you can only find double sleeping bags that are rectangular in shape for obvious reasons. Furthermore, most rectangular sleeping bags are more suited for camping in a reasonably warm climate given their lack of thermal insulation. Semi-rectangular – These sleeping bags are by far the most popular for couples, mainly because they provide a good medium between the confinement of mummy bags and the lack of insulation that rectangular sleeping bags offer. For this purpose, they tent do be bulkier and heavier than both other types of sleeping bags, with the added benefit of greater comfort and a lot more room to spare.